Our Montana fly fishing guides consider Bozeman, MT to be the heart of fly fishing in Montana and our home base for our guided Montana fly fishing trips and outfitting. The combination of Bozeman’s proximity to hundreds of miles of blue ribbon trout water in Montana as well as Yellowstone National Park means that anglers are able to experience a wide variety of guided fly fishing options during their stay in Bozeman and all the while have access to comfortable lodging and great dining options. A traveling angler could easily stay weeks in Bozeman and never fish the same water twice. Day trip options with the Montana Angling Company for anglers staying in Bozeman include guided fly fishing on the Yellowstone River, the Madison River, the Gallatin River, the Boulder River, the Stillwater River, the Jefferson river, the Missouri River, Yellowstone National Park, and the Paradise Valley Spring Creeks as well as other smaller private waters. Multi-day fish and stay packages are the best way for anglers to experience the wide variety of fly fishing opportunities we are lucky to have. Each river, lake, or stream has its own unique character and intricacies and fishing success can depend on understanding the dynamics of each fishery. Our Bozeman fly fishing guides have the local knowledge and experience needed to lead anglers to success. 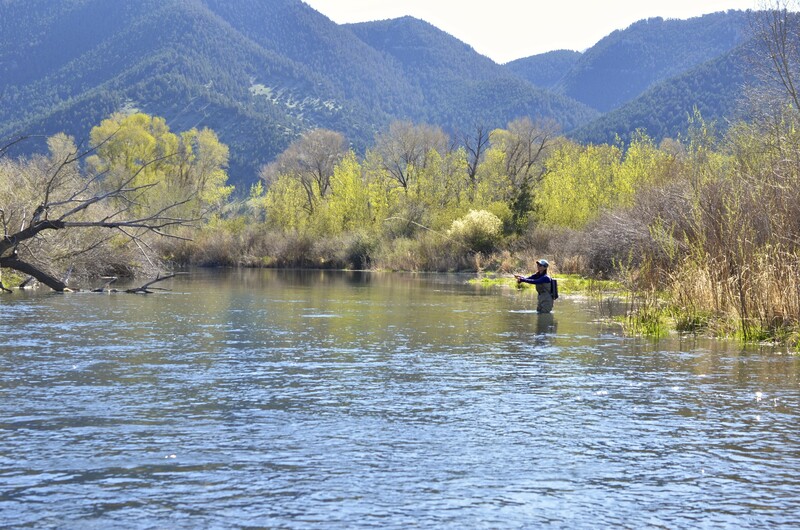 We encourage anglers considering a fly fishing trip to Bozeman, Montana to contact us with any questions or give us a call to book their next trip. The Montana Angling Company and our Bozeman fly fishing guides are all committed to providing the best possible customer service and the ultimate Bozeman, Montana fly fishing experience for our anglers. Fish On!